Interested in making a difference to human health, while being remunerated for your time and effort? AusTrials can help you achieve your goals. 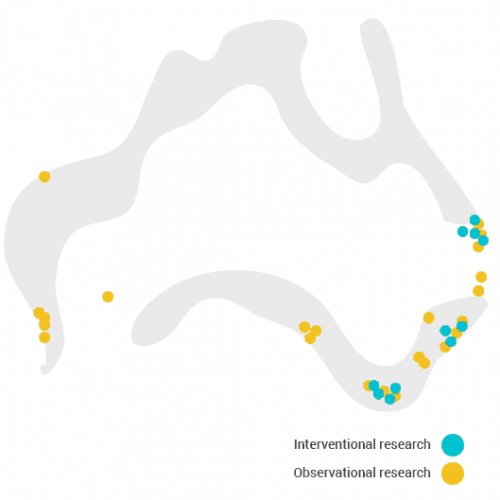 AusTrials is a leading private clinical research organisation, with dedicated and managed research sites in Australia. We are leaders in delivering phase II-IV interventional studies, capturing real world evidence and conducting observational research in the usual clinical setting. We work with pharmaceutical companies, contract research organisations and academic research institutes to make clinical trials available to patients. We have a track record of delivering over 160 studies since 2009. AusTrials is dedicated to the ongoing evaluation of new medical treatments, delivering results in a highly ethical environment and one that puts the needs of the patients first. With access to over 1000 physicians in more than 70 medical centres the network facilitates fast, efficient recruitment into clinical research and coordinated site management across a large pool of physicians. Each centre sees between 2000-4000 patients every week and have the resources to recruit large numbers of study participants. AusTrials runs complex data extraction algorithms to identify patients for studies – searching diagnoses, medication history, pathology results, other measurements and referrals to create lists of suitable patients for recall.